Ever noticed how some folks make the toughest trips seem like a leisurely walk in the park? Nine out of ten times, those travelers created a near-perfect itinerary before they even started packing. The ability to engineer an effective, seamless itinerary requires well-laid travel plans – an integral component of any successful trip. TripIt allows users to create complex online itineraries and e-mail them to friends and family. The site will automatically insert tons of useful information into your itinerary, including maps, directions and weather. TripIt is free. NileGuide is a valuable resource for travelers visiting select locations around the world — but you can only create an itinerary based on the site’s pre-picked destinations and cannot customize a trip to a locale not listed on the site. Owners of Microsoft Office can download free itinerary templates at Microsoft Office Online, which are basically blank schedules with spots for you to record your travel information. TinyPlanet Software offers an itinerary program for Macs, Knapsack. The program’s features, from interactive maps to printed itineraries that appear professionally designed, make trip planning more fun than an in-flight movie. You’d like to milk your trip for all it’s worth by cramming in full schedules from the moment you arrive – despite jet lag. Choreographing all you want to get done into a seamless schedule — especially if you’re visiting multiple cities or countries — can be a massive challenge. Make it easier by creating a list of everything you want to see or do. Then, put the list in priority order. Note local holidays coinciding with your trip, which can affect transportation schedules, business opening hours, etc. Ambitious travelers who plan to cram in everything in a short time span should do some serious planning. In a case like this, a map is your best friend. Start grouping the different attractions you want to see by neighborhood or region. Allow yourself plenty of time to make it to the airport and through the security checkpoints. The same thing goes for your arrival. Connections mean additional planes and additional opportunities for delays. Connections also mean that your bags have more occasions to be lost or damaged. Your itinerary is not a legally binding contract. It’s more like a rough draft. Things can go wrong. Consider scheduling some free time into your itinerary. All in all, the most flexible itinerary is often the best. Choosing an itinerary can be a daunting task, particularly for first-time cruisers. After all, cruise ships visit more than 1,800 ports around the world — but that doesn’t mean every itinerary is right for you! The cruise you choose should fit your vacation expectations. Are you looking for fun in the sun or are you interested in history — or both? Do you want wildlife and scenic views or windsurfing and parasailing? Would you rather stop at a different port each day or kick back during several days at sea? Cruises range from one- or two-night cruises to nowhere to 100-plus-day trips around the world. If you are not sure about spending a full week or more aboard a ship, ease into cruising by trying out a shorter cruise. The Caribbean and the Bahamas are regions in which you’ll commonly find three-, four- and five-night trips. Do you want to fly or drive to your ship? After September 11, 2001, travelers’ reluctance to fly spurred the cruise industry to deploy ships from drive-to port cities, particularly along the East Coast. Now, particularly with the hassle of air travel, the home porting concept is here to stay. From the East and Gulf Coast, you’ll find itineraries to the Caribbean, Bahamas, Bermuda and Canada/New England; from the West Coast, there are cruises to Hawaii, Alaska and the Mexican Riviera. For some travelers, reading a book a day on the beach or by the pool is paradise while others are rejuvenated by sightseeing, shopping and interacting with locals. Research potential cruise regions carefully to make sure that the ports of call you’ll visit coincide with your personal preferences. The following pointers will help you select your perfect itinerary. Deciding what kind of ship you want to sail on is an important factor in assuring an enjoyable cruise vacation — and may actually dictate where you decide to go. Mega-ships generally visit the standard ports (bars, beaches) while smaller to mid-sized vessels are likely to offer unique itineraries to places the big guys simply can’t go. Many first-time cruisers choose the Caribbean or Mexican Riviera, where itineraries tend to be one week. These cruises operate from Florida and California ports respectively; Caribbean cruises are also available from places like New Orleans, Galveston, Baltimore and New York. 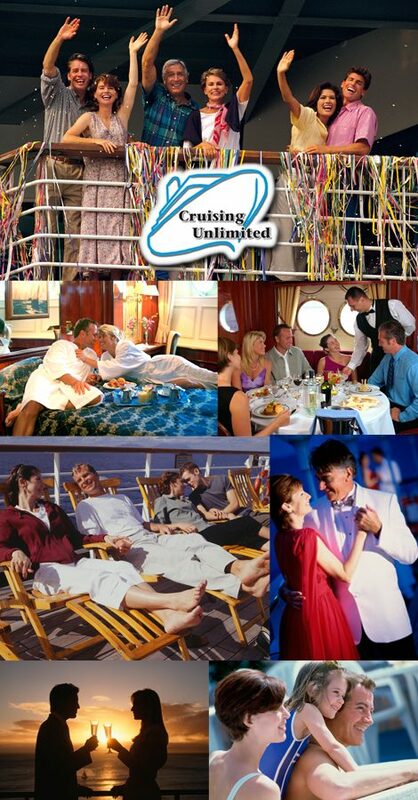 Most weeklong cruises include at least one day at sea. Standard itineraries are either Eastern Caribbean (visiting places like San Juan, St. Thomas, St. Croix and St. Maarten) or Western Caribbean (visiting ports such as Grand Cayman, Ocho Rios, Cozumel and sometimes Key West) — though the least-known of the three regions, the Southern Caribbean, is growing in popularity. Mexican Riviera voyages call at Cabo San Lucas and Puerto Vallarta, among other ports. The Bahamas, again because the cruises are generally shorter than one week, is also a popular region among cruise newbies. Alaska. More than 700,000 cruise visitors flock to the state from May through September for the history, the frontier ambiance, the wildlife and — above all — the scenery. Most cruises depart from Seattle or Vancouver and last about seven days. There are round trip through the Inside Passage or one way across the Gulf of Alaska. Bermuda. These cruises are plentiful in spring, summer and fall, with weeklong departures offered from the East Coast. In the past — and cruisers have been sailing here for more than half a century — mega-ships were not allowed to call and those ships that could were required to stay for three days. Over the last few years, however, the rules have been slowly bent, meaning there are now options for those who want to experience the traditional extended stay as well as folks just dropping by for a day on a more varied itinerary. The major ports are King’s Wharf and Hamilton. Canada/New England. The season runs from May through September, from the East Coast or within Canada. Sailings from 4 to 14 days visit cities including Halifax, Saint John (New Brunswick), St. John’s (Newfoundland), and even Newport and Bar Harbor. With a new crop of adventurous excursions for cruisers young and old, it’s fair to say that the region is not just for leaf-peepers. Europe. A cruise is a great way to see this vast region — hop from country to country without unpacking and repacking your bags! It’s now a year-round market (particularly in the Eastern and Western Mediterranean), with itineraries generally ranging from 7 to 14 nights. Eastern Mediterranean cruises generally visit Greece and Turkey while Western Mediterranean voyages skirt the French Riviera, Spain and the Italian coastline. Many lines also offer Baltic cruises that include Stockholm, Copenhagen, Helsinki and several days in historic St. Petersburg, as well as British Isles voyages calling at cities in England, Scotland, Ireland and the Netherlands. Hawaii. Popular with honeymooners, Hawaii dishes up the exotic landscapes with the advantage of being American. Norwegian Cruise Line is the only cruise line offering weeklong all-Hawaiian-island itineraries round trip from Honolulu. Other lines generally offer lengthier cruises that depart from the mainland U.S. and visit at least one international port, such as Ensenada. Popular ports of call include Maui, Kauai, Oahu and the Big Island. Now that you’ve got the basics, it’s time to choose that itinerary and plan that cruise!